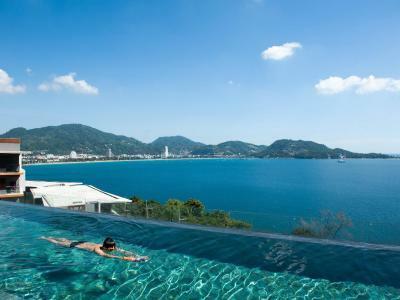 Lock in a great price for Kalima Resort and Spa – rated 8.3 by recent guests! Everything was excellent, especially the staff manners, very polite, friendly, discrete and professional. I also enjoyed my spacious room, the beautiful restaurant on the roof. 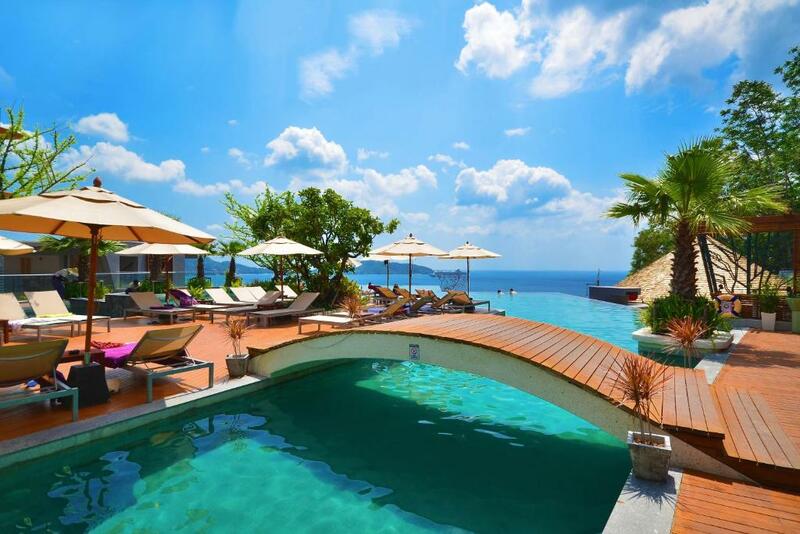 The perfect infinity pool with a decent bar. The music at the restaurant could have been better though. The staff was amazing! So attentive and helpful. The room was clean, comfortable and had a great view. The pool was also amazing. It was a good proximity to Patong Beach. 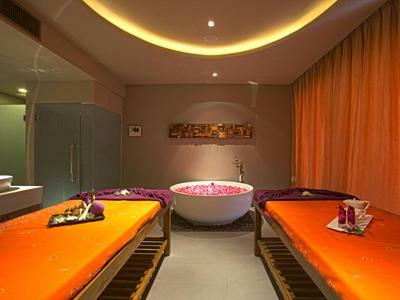 Amazing facilities, and the room with the outside private bathtub, linked to the pool is simply amazing! The swimming pool is nice. The room we stayed had a nice view of the pool as well as the sea. Area, away from Patong hustle but easy to get to. Amazing view from hotel & sunset views. Caring staff who want to do best to look after your stay. Kalima Resort and Spa This rating is a reflection of how the property compares to the industry standard when it comes to price, facilities and services available. It's based on a self-evaluation by the property. Use this rating to help choose your stay! 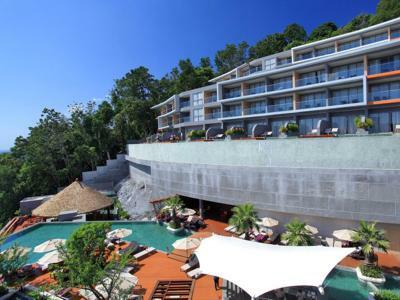 Kalima Resort and Spa is conveniently located, only a 5-minute drive to Patong and Kamala Beaches. 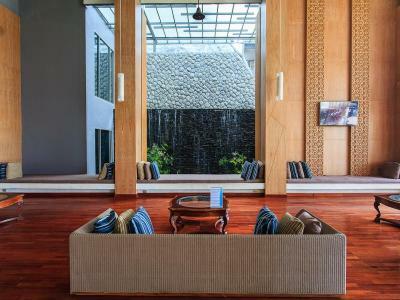 It offers stylish air-conditioned rooms with free Wi-Fi. Guests can unwind at the pool deck or indulge in spa massages. Free shuttle services to Patong Beach is provided three times a day. 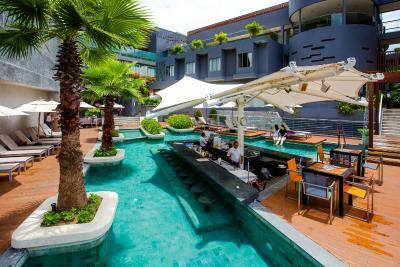 The property is a 12-minute drive to Jungceylon Shopping Center. 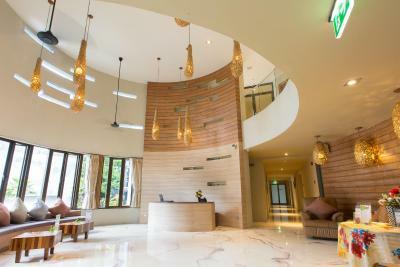 It is a 50-minute drive to Phuket International Airport. Rooms at Kalima Resort and Spa are tastefully furnished with contemporary decor in neutral tone. Each room is fitted with a flat-screen satellite TV, a mini-bar and a safety deposit box. A bathtub is included in an private bathroom. Selected rooms feature a sea view. Staff at the 24-hour front desk can help guests with laundry and shuttle services. 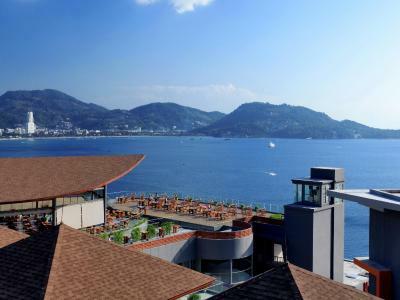 For convenience, the hotel is equipped with a tour desk, where sightseeing trips can be organized. Meeting facilities and an indoor children’s playground are also available on site. Malika Terrace offers an all-day-dining menu with European cuisine while Thai Taste serves an exquisite selection of Thai dishes. Light snacks and beverages can be enjoyed at Lima Rock and Trio's Pool Bar. When would you like to stay at Kalima Resort and Spa? Larger air-conditioned room offers a great view of the sea. It includes a flat-screen satellite TV, a minibar and a safe. There is a living area and a balcony as well as a window-side bath. Kalima's own marine-essence toiletries are provided in a private bathroom. This modern studio-style Suite features a flat-screen satellite TV, a minibar and a safe. A bathtub is included in the private bathroom. Spacious suite features pool access. It is fitted with a flat-screen satellite TV, a mini-bar and a safety deposit box. Guests can sunbathe in privacy on the wooden sundeck with rain shower or chill out in window-side spa bath. Guests enjoy free daily mini-bar. This villa features a private pool and a sweeping 220 degrees view of Andaman Sea. It also includes a spa tub. Guests receive a free daily minibar. This villa features a private pool and a kitchen. Guests enjoy a free daily minibar. This villa features a private pool, a kitchen and a rooftop. Guests enjoy a free daily minibar. This suite comes with a living room, a balcony and a sea view. This air-conditioned room is fitted with a flat-screen satellite TV, a minibar and a safe. A bathtub is included in the private bathroom. This air-conditioned room offers a great view of the sea. It is fitted with a flat-screen satellite TV, a minibar and a safe. A bathtub is included in the private bathroom. House Rules Kalima Resort and Spa takes special requests – add in the next step! Kalima Resort and Spa accepts these cards and reserves the right to temporarily hold an amount prior to arrival. 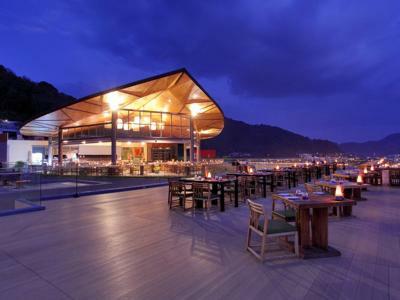 Please note that Halal dining options are not available at Kalima Resort and Spa. Absolutely everything. The breakfast and the food at the restaurant are amazing, the room was big and comfortable, bed was amazing, facilities very clean, staff was always willing to help. Decoration was beautiful. And the pool is the highlight and was absolutely the best. Amazing pictures and view. A nice hotel but it didn't feel luxury. The breakfast was mobbed and the pool very crowded. I was awoken at 2am by a couple below screaming at each other and smashing glasses. Location was not great- quite far away from restaurants and bars. The breakfast is more catered to Asian tourists as opposed to Western tourists. The room was clean and bright- nice big bath and cute towel animals. The staff are very welcoming. The wifi is strong. We enjoyed the pool and the pool bar's happy hour. Not a lot of room service options. One night wasn't feeling so great and would have loved a toasted cheese sandwich. I understand it would be hard to cater for everyone's tastes. As it is a fair distance from Patong, it would have been good to have a few extra shuttle buses runs into town. The big mistake for me to book this hotel was the location. 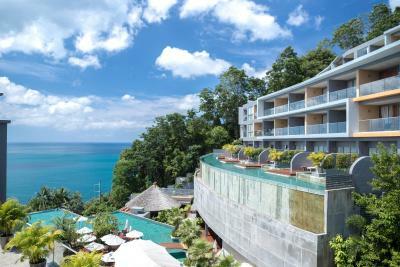 As i have my own car i thought it will be ok even if the hotel is located at 6 km from Patong where there is everything. First their uncover "parking" contain EIGHT places only!!!! It is very narrow. And when you have a long car it's a headache. At the second time i had to park, security guard ask my room number "in case of accident" he told me...so I did not feel very comfortable about that. There is also few parking places at the top of the hotel but they keep it for customers who rent the houses. They have a shuttle service. It's a truck modify for the occasion. They are not enough schedule as i saw the truck was full on departure and the trip to Patong must be not really comfortable. Most customers of the hotel are from China. Food from the restaurant is expensive and not tasty. A month ago i was in the center of Patong and i had much more fun because everything is close (beach, restaurants ect..). Second, this is not a 5 stars hotel. For people who choose deluxe room, be careful because most of them have a view on...a wall. I had seaview and the view was amazing. 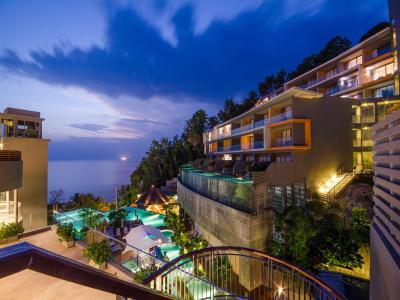 But you can find hotel with seaview in the center of Patong for the same price. Remember . A trip from the hotel to Patong is minimum 300 baths per way.